Hospital debate: Should people pay for parking when going to hospital? Car parking is an archaic industry and it has been around for over a hundred years. With many car parks around, it is a known fact that the industry is a larg one, reiterated by the fact that the European parking industry valued at around 30 billion euros. Parking is what may come. Some places are free to park, some places charge. Through research by ParkJockey London we know that some car parks charge £55 for up to 5 hours (Harrod’s). Prices of car parks vary and can be collectively or individually dependant on the purpose for parking, the consumer demographic, the location and/or demand. What would be you say the purpose of parking for visiting hospital is? An emergency, visiting loved ones, a general check up? Should you be charged for parking when it could be a matter of life or death? It is known that the NHS charge their visitors and even their patients to park their car. The past few years has seen a escalation in parking charges in hospitals. It has been denoted in a recent review by the BBC, that 1 in 4 hospital car parks have doubled with some having even tripled their rates for the coming year. When the BBC carried out an investigation into this, they approached the general public at hospital car parks to which they unanimously responded that prices are too steep, some in the region of “£4 per hour” Some people have resorted to taking public transport to the hospital, which isn’t and doesn’t sound convenient in the slightest, not to mention good for public health in the case of contagious diseases. 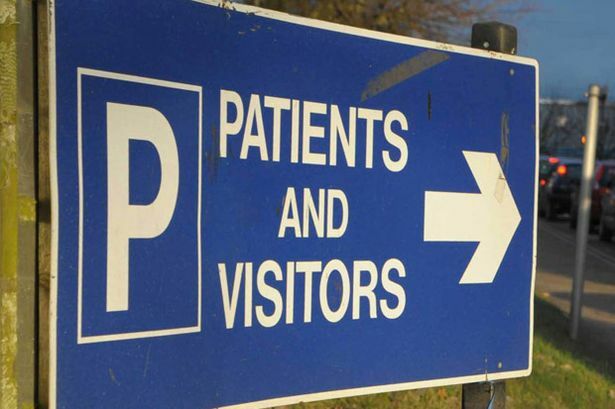 Charging visitors and/or patients seems over the top, especially when you are coming to hospital to visit a loved one, or have an appointment yourself, you do not want the added stress of parking your car and keeping an eye on time. Just today, a lady named Lesley Macguire, 59, had been having tests in her local hospital in Aberdeenshire, following problems with her implants to fight breast cancer from 22 years ago. She was then diagnosed with cancer again, only to return to her car to find a £40 parking ticket (PCN). This doesn’t seem fair, and people want to know what the money is being spent on. One Tory MP suggests parking charges need to be abolished; he even brands it as a ‘stealth tax’ (A stealth tax is a tax imposed in a way that is unrecognised as a tax). The NHS make millions of pounds every year from parking, and need millions to provide the service they give. For example, a hospital in the North east of England reportedly made around a £2 million last year from their car park. With around 2,000+ NHS hospitals in the UK, the accumulative total is in the hundreds of millions. The NHS argue that this money is used and extremely beneficial for them in order to support the medical challenges that they face throughout the year – patients are their priority! What do you think will happen if they were to slash prices? Could hospital car parks be filled with commuters and shoppers thus leaving patients and visitors left circling for parking? This entry was posted in London, News, ParkJockey and tagged BBC, Hospital parking, National Health Service, NHS, parking on July 11, 2014 by ParkJockey Team.